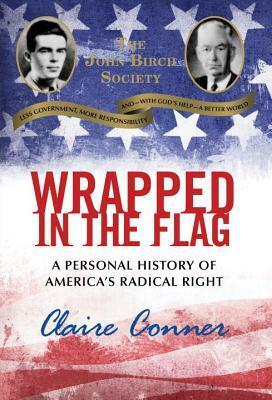 Wrapped in the Flag: A Personal History of America’s Radical Right (2013) covering the John Birch Society with their rugged individualist slogan of “less government, more responsibility, and — with God’s help — a better world” not withstanding that many people do not agree that their vision is the vision of what a better world would be for the majority of the people. That’s the problem with zealots, they are so sure they are right that they feel an obligation to impose their “right” beliefs on everyone else, facts be damned, or civil rights, or the law. Only what they want is what everyone gets.